Almost everyone has sent or received flowers. A bright, sunny flower bouquet is the perfect way to cheer up a friend. A pink or blue spray is often the first gift a baby will receive, welcoming a new life. Flowers are able to send a message that sometimes words can’t express. However, have you thought about where your organic flowers come from? Natural Flowers are, by nature, imperfect. Therefore, the organic floral industry is prone to spraying the plants with pesticides and herbicides. Natural florists, toss two out of every three flowers into the trash bin due to perceived imperfections. Are you looking to make a difference, even down to the natural flowers that brighten your day? It’s time to start shopping for eco-friendly, sustainable and green floral options. Whether you’re sending a gift or planting flowers from seed, the options on this list are some of the most sustainable and earth friendly flower sources available. What could be better than receiving (or giving) the gift of BloomsyBox fresh, sustainable, farm to table and non-toxic gorgeous roses each month? 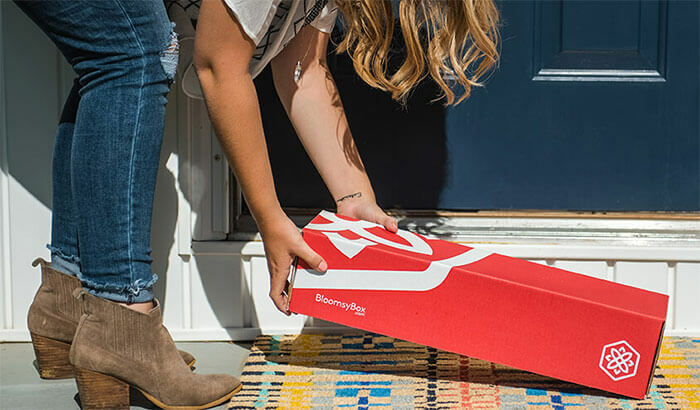 We’ve included this BloomsyBox review on our list of the best eco-conscious flowers because the company is dedicated to making your gift-giving experience as eco friendly and socially responsible as possible. 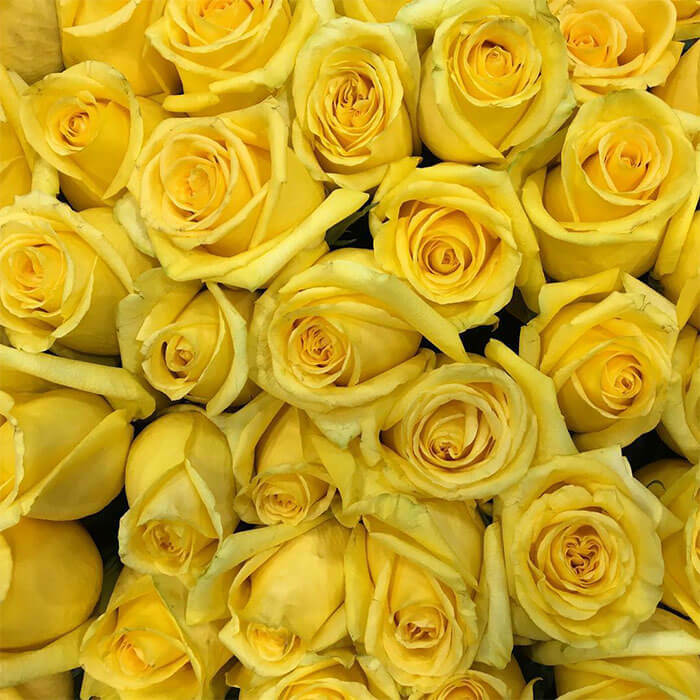 Each bouquet of roses, delivered to your door monthly, is fresh from a fair trade farm, significantly reducing the carbon footprint of flower delivery. To ensure you’re receiving only the freshest flowers, the bouquets will frequently arrive in bud form. Simply place in water and watch your rose buds blossom! Flower Explosion is an interesting concept. Every bride wants fresh, brilliant flowers on her wedding day, and Flower Explosion has figured out how to provide just that. Simply order your Bridal Bouquet at least two weeks before your wedding. Choose a flower delivery date that’s two days prior to the Big Day. Upon arrival, place your blooms in fresh water and watch while they expand to a full, gorgeous display. We chose to include the bridal bouquet Flower Explosion review on our list because we love the idea of affordable wedding bouquets. However, the company sells flowers for all occasions. Choose from Mother’s Day flowers, and Valentine’s Day flowers bouquets for hand cut floral arrangements year-round. Most frequently bought for Mother's Day flowers, this Ferns N Petals Royal Love Standard floral arrangement is suitable for even the most refined of tastes. Six purple orchids, six white carnations and three white Asiatic lilies create a classic display that is, as the name implies, simply royal. 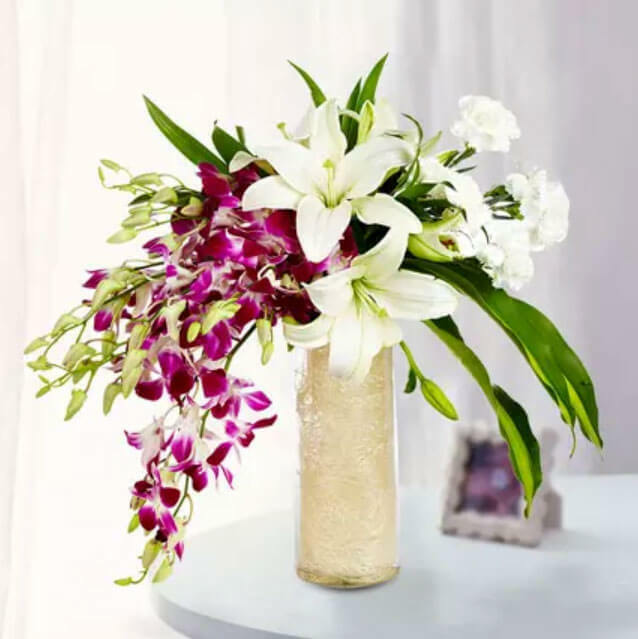 A cylinder glass vase contains the floral arrangement, which not only boasts a regal assortment of fresh, fair trade flowers but also Draceane leaves for a dramatic touch. We’ve included this Ferns n Petals review because the company partners with florists worldwide. Whether you live in Montana or Melborne, the arrangements at Ferns n Petals are available to you. We can think of dozens of people who could take advantage of this VivaRoses review. The VivaRoses Bucket O’ Sunshine bouquet is perfect for any occasion including Mother's Day flowers. Hand cut roses, fresh from the fair trade and sustainable farm in Ecuador are packaged and shipped to your door. The flower delivery service with direct shipping reduces the carbon footprint of the floral arrangement, making this a great option if you’re looking for sustainable, eco friendly flowers. Purple is the color of nobility, of pride, and of mystery. Purple is also a comforting color, combining the richness of red with the mellowing stability of deep blue. For that reason, we’ve included this FlowerShopping.com review on our list of the top eco-friendly flowers. It would seem that whomever named this bouquet was being modest. Daisies are a humble flower, but this arrangement also contains asters and chrysanthemums. The result is a full and regal yet comforting and classic basket of sustainably sourced cheer. The FlowerShopping.com basket, too, is renewable and sustainable. It’s crafted from bamboo and can be reused later for fruits or other collections. Checkered ribbon ads the final touch of charm to the basket. If you’ve been in search of a cheerful, bright arrangement that’s almost youthful, this Avas Flowers review is just what you’ve been looking for. Choose from a 15 or a 20 stem tulip bouquet. Opt to receive the flowers only, or customize your package with mylar balloons, greeting cards, chocolates and even stuffed animals! Avas Flowers is a wholesaler and has a large network of florist across the US. That means a reduced carbon footprint and farm fresh blooms. It also ensures fewer stems discarded. Each order is sourced from smaller farms who cut only the stems needed to create your bouquet. Your purchase of this colorful tulip assortment helps to support a company that gives back. Avas Flowers partners with non profits to offer raffle options to various organizations. 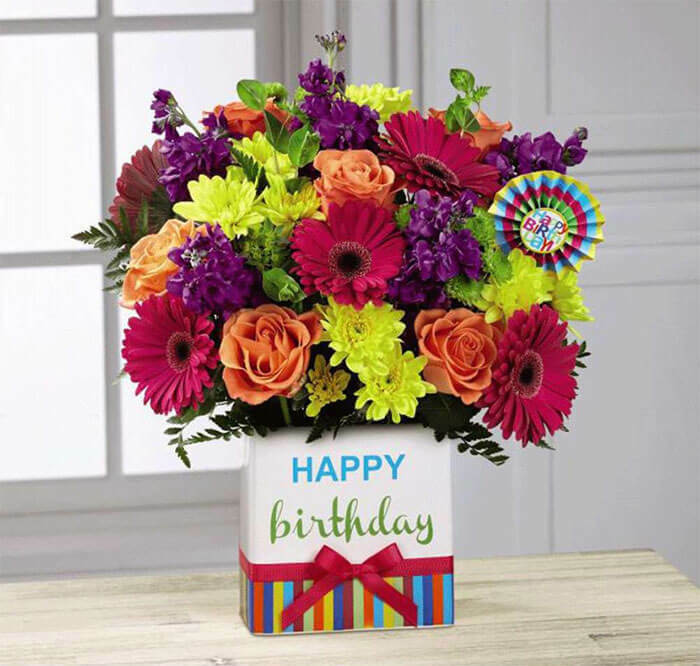 Happy birthday to whomever gets this Kremp Florist bright, jazzy little arrangement of birthday flowers. You can choose from four different sizes of bouquets, from the modest small to the generous extra large option. Each festive arrangement comes in a sustainable eco friendly ceramic container, and contains roses, colored daisies and an assortment of other flowers and fillers. Best of all, we’ve included this Kremp Florist review because the company is a family-owned, American business. This Nature Hills Nursery review is next on our list of the top eco friendly flowers. We love the honeysuckle, of course, but we also love that this business has been family owned and American for almost two decades. 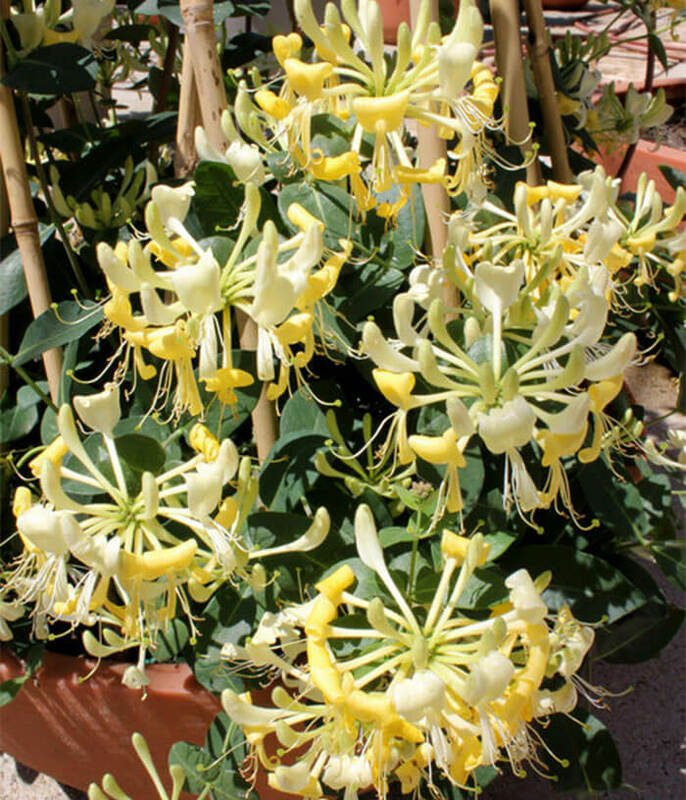 Plant your Nature Hills Nursery honeysuckle in full or partial sun and enjoy the rich fragrance of honeysuckle in spring and summer, and even into the fall in some zones. Bees, hummingbirds and butterflies will love the plant almost as much as you will. For those of you who are looking to not only buy organic and sustainable floral arrangements, but also to grow them, this Chelsea Green Publishing review is a must-read. To begin, Chelsea Green Publishing is a green publisher, choosing recyclable and recycled materials, energy efficient practices and soy-based inks. The business is a member of the Green Press Initiative, which means at least 10% of materials used in publishing meet or exceed the Initiative’s standards for bleaching and recycling. The book itself is one you’ve got to read if you’ve ever thought about growing your own flowers. From choosing organic, and heirloom seeds to cutting and even selling your stems, the book by Lynn Byczynski will help you achieve your dream of raising your own gorgeous, sustainable and earth friendly flowers. On a sunny day, the average lawn will drink in 125 gallons of water per 1,000 square feet. That is, obviously, water that could much more easily be conserved by sourcing water naturally. What better way to source water than simply collecting rain water? Using the optional diverter, or simply by strategically placing this barrel, you can do just that. The EarthEasy rain collection system is created from reclaimed olive barrels and include an insect screen, drain plug, spigot and more. We’ve chosen to include this EarthEasy review because, obviously, the environmental impact of rainwater collection is huge. However, we also love the mission of the company. Through partnerships with EPA, TerraPass, Green America and others, EarthEasy is taking huge steps to teach others to live sustainably and reduce the environmental footprint of human consumption. While your neighbors enjoy their lilies and gladiolas, vow to plant something a little different this year. Crocosmia is a perennial plant which blooms in striking shades of reds and oranges for the full duration of the summer. Crocosmia is hardy in zones 4 through 10 and some varieties will grow as tall as four feet. In other words, they’re a dramatic flower, no matter where you live. Plant them in full sun for the best blooms. As we were writing this Blooming Bulb review, we were pleased to learn that there’s more to love about the company than just this particular flower bulb. Blooming Bulb is a carbon conscious company, choosing to operate online only. Plants are shipped directly from the warehouse. When possible, bulbs are shipped from the farm to your door. Now that you’ve chosen a few select bulbs and blooms to plant, you’ll need to display them in a way that’s also earth friendly. This Plow & Hearth three tier plant stand is the perfect solution for your indoor or outdoor garden display. Crafted from recyclable steel, this shelf is then powder-coated. Choose to add optional 8 inch trays to contain dirt and water should you choose to use your trays indoors. The trays are galvanized with sustainable zinc to prevent corrosion. It was difficult to choose just one product for our Plow & Hearth review. The American company participates in the Planting Two for One program, which commits to planting two trees for every catalog published. They’ve also donated over 3 million trees to reforestation programs in partnership with the National Forest Foundation. This isn’t our first ApolloBox.com review. We’ve talked about the company before because we love the way there’s always something different on the site. ApolloBox.com hand selects items from small businesses and vendors around the world, allowing customers to discover something new every time they shop. We fell in love with this particular display of preserved flowers. 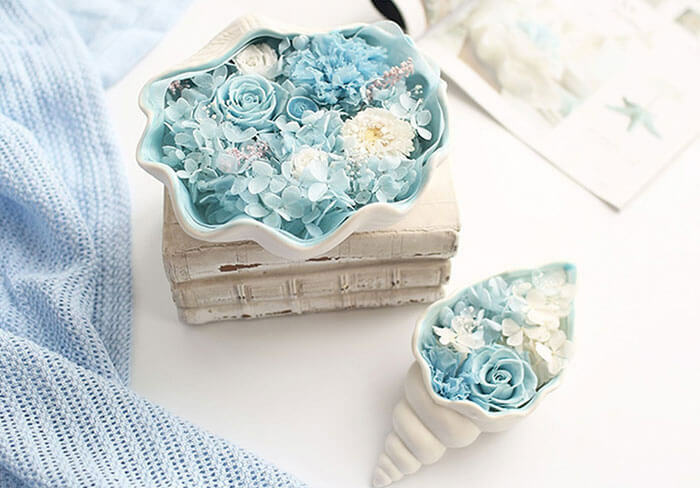 You may choose from a conch or a shell shape; either one is gorgeous and the perfect addition to beach décor. Place it on your bathroom countertop, as a centerpiece for your beach house dining table or even include this as part of your wedding décor. The pinks, blues and whites of the preserved roses and more will catch your guests’ attention. Next on our list of the top organic flowers is this Botanical Interests review. There’s a good reason for that, too. Not only do these flowers create a stunning addition to your outdoor oasis, but they’re also edible. In that case, you want to know what you’re buying is organic and safe. That’s absolutely the case for these Botanical Interests Royal Blend Sweet Pea seeds. The young leaves of this plant may be steamed or added to a healthy salad, and when the flower goes to seed, you may choose to cook them as a side dish, or pop like popcorn for a heathy snack. Each plant is USDA Certified organic, fair trade and comes with a 100% satisfaction guarantee. Flowers truly say what words sometimes can’t. However, floral options available are sometimes wasteful. The floral industry isn’t known to be carbon neutral, water conservationist or environmentally friendly. The next time you want to send flowers, or this fall when you plant flowers in your own garden, consider one of the options on this list. Choosing environmentally friendly, green and sustainable floral options can go a long way toward making a difference for the planet.